SI-UK Corporate Solutions offer customised programmes for your convenience. SI-UK, founded in 2006, is a specialist language provider with offices all over the world. 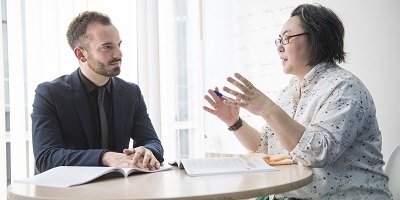 Our mission is to provide quality English language training to corporate clients through customized programmes designed to suit the needs of the company and the individual. We understand that time is precious and that everyone has unique English language requirements. 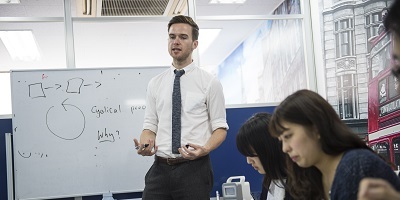 That’s why our courses have been designed to be taken at your convenience, either in our well-equipped school in Shibuya, through blended learning or in the comfort of your own premises. Our expert staff will guide you from the initial needs analysis through to the level test while devising a tailor-made course plan to meet your needs. All customised courses are designed for your convenience which means that each course can be devised to contain online correspondence with your instructor, a face to face component (either via Skype or in person) or short lessons by telephone which you can take at your own desk. Each course will contain content specific to the needs of the client and the industry. This short course focuses on the skills you’ll need when you start your new job in an international company. You’ll learn to communicate effectively on the telephone and by email, to feel confident when participating in meetings as well as greeting and dealing with important customers and visitors. Are you going on a business trip soon and want to brush up on your spoken English skills? This short course will help you communicate more effectively while abroad. Typical situations covered include meeting and socialising with colleagues, making arrangements and plans, and dealing with emergencies. With the Rugby World Cup coming in 2019 followed by the Olympic Games in 2020, the eyes of the world will be firmly on Japan. We’ll make sure that the English language content of your website is up to date with no funny translations or grammatical mistakes. Get ahead of the game! SI-UK can help you determine if your staffs need English training. Contact us now to avail of our placement testing system, in which each staff member will take a test and receive a detailed breakdown of their language abilities. Based on the test scores, we will also provide advice on how to ensure that your staff have the English they need to do their jobs effectively.